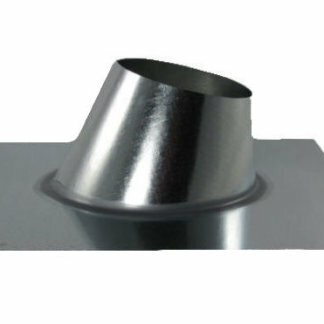 The FAMCO FP Pipe Flashing – Flat Pitch Roof is made to go over a single wall pipe on a flat roof. 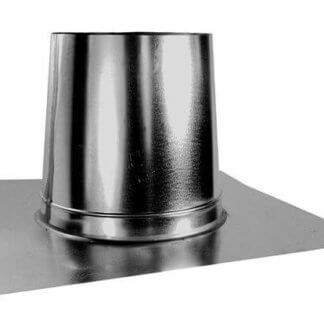 This product has a 6 inch rise. 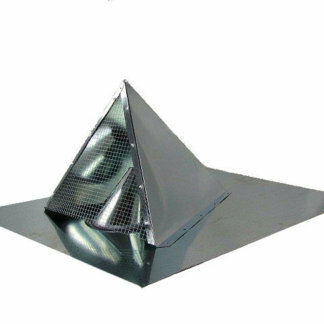 Quality constructed in 28 – 24 gauge Galvanized steel. 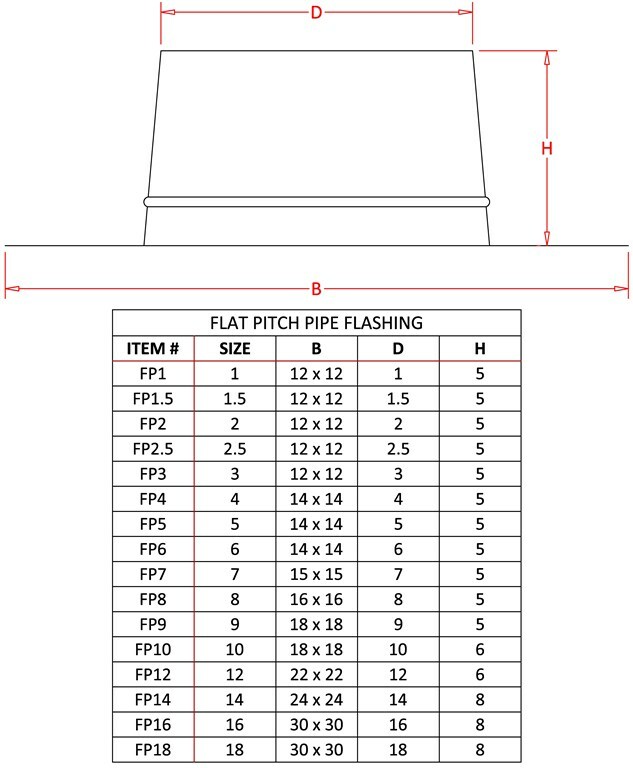 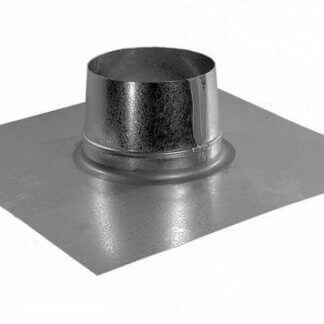 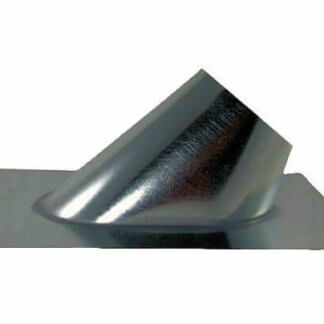 The FAMCO FP Pipe Flashing – Flat Pitch Roof come in a range of sizes: 1 inch, 2 inch, 3 inch, 4 inch, 5 inch, 6 inch, 7 inch, 8 inch, 9 inch, 10 inch, 12 inch, 14 inch, 16 inch, 18 inch, 20 inch, 22 inch, and 24 inch. 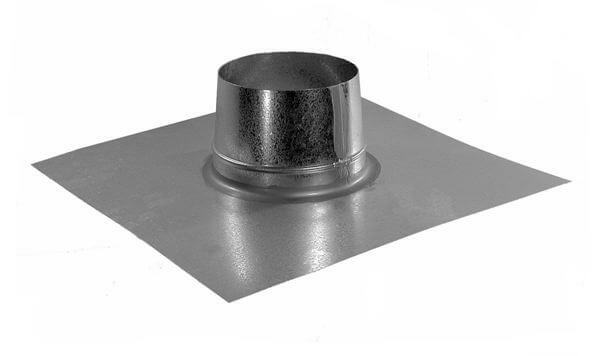 The FAMCO FP Pipe Flashing – Flat Pitch Roof is manufactured by FAMCO in the United States and comes with a 1-year warranty against product defects and workmanship. 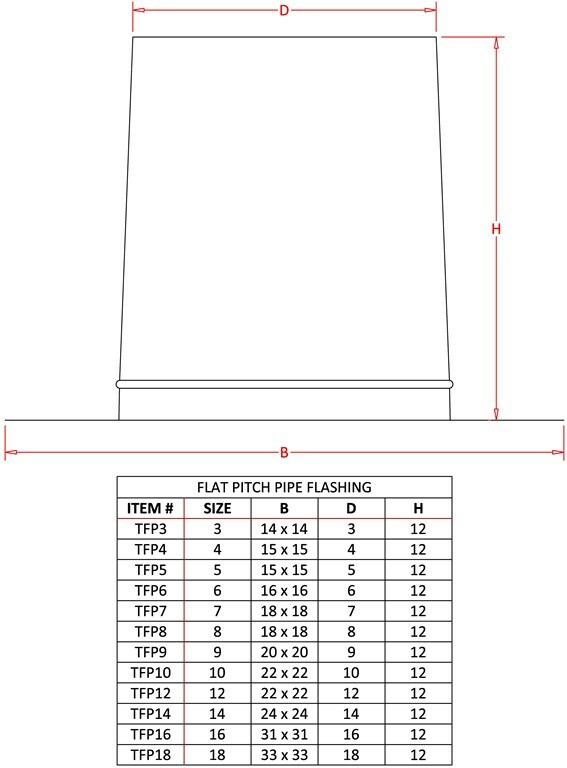 If you have any questions about this product, please refer to the FAQs above or feel free to contact us by phone or email.